Place the fruit juice into a deep medium size pot, add the sugar (sweetness is up to you) add the vanilla pod and orange zest. Bring to the boil then reduce the temperature to a gentle simmer. Place the pears in the liquid and lid on the pot. Poach gently for 20 minutes or until the pears are tender all the way through. 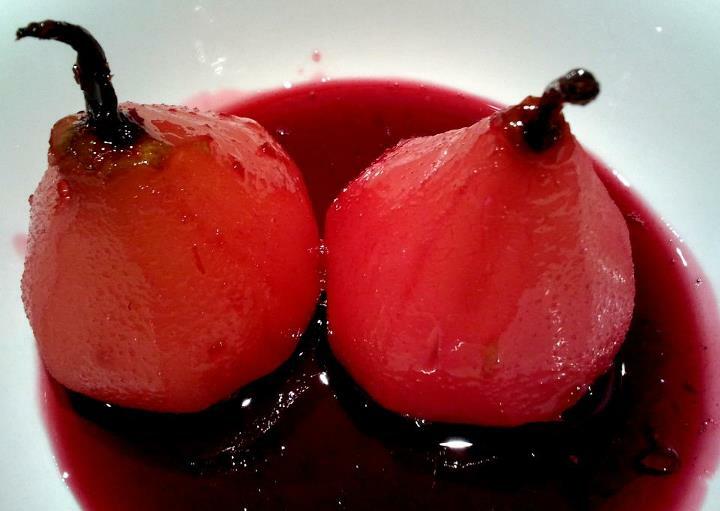 Serve the pears whole with the fruit syrup poured over with either vanilla ice cream, cream or perhaps crème fraiche.